"A vividly photographed ABC book with a clean, sophisticated aesthetic." --Publishers WeeklyStep into the garden and learn your ABC's with this colorful feast for the eyes! 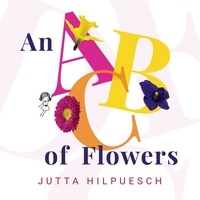 From asters and daisies to roses and sunflowers, An ABC of Flowers is a colorful burst from the garden that will have little hands eager to grab Filled with gorgeous photo illustrations, bold colors, and clever line art featuring a miniature-sized girl named Amelie, toddlers will laugh and be mezmerized by the book's vibrant pages Perfect for the youngest readers learning their ABC's!